You guys. One word. Overalls. 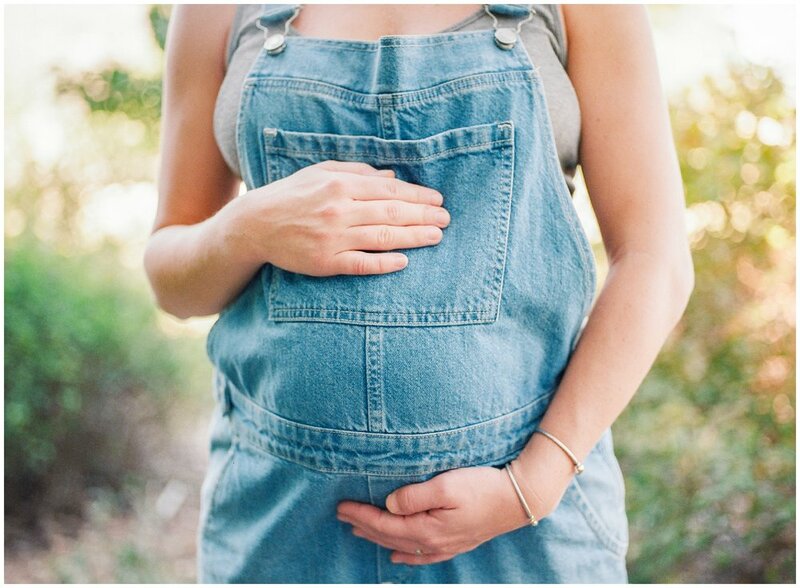 When Stacie showed up to her maternity photography session wearing a pair of denim overalls I was pretty sure I had never seen anyone look cuter. Stacie and Nick are expecting a sweet little girl any day now, and I'm so glad they let me capture a few moments for them during this sweet time of waiting (and waiting...and waiting...). As far as I am concerned the best sessions are the ones that just flow naturally, and the more relaxed the better. 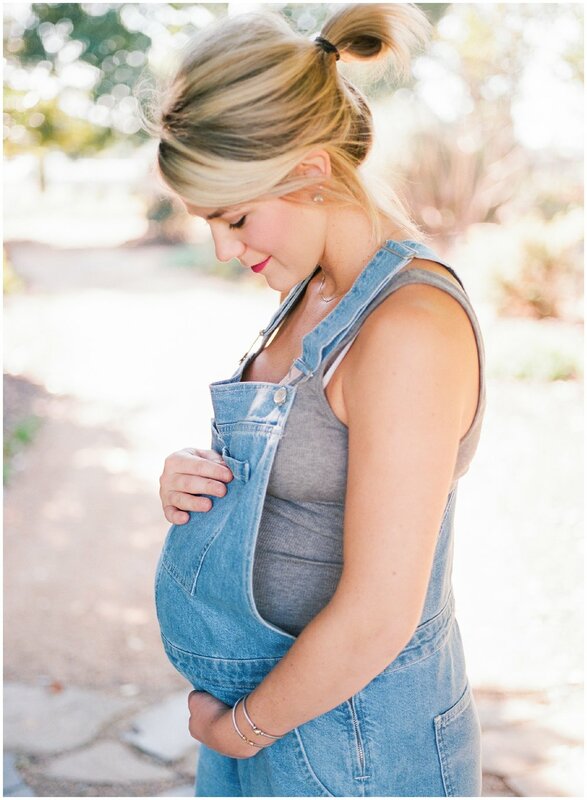 This maternity session couldn't have fit that bill any more than it did. We just took our time meandering through the Raulston Arboretum and picking lovely spots to stop and shoot, and laughing all the way. Stacie and Nick are such a genuine and laid-back couple, and that truly showed in the way they interacted with each other, as well as with me while we were shooting. It was such a fun and easy session and I would shoot their gorgeous faces everyday if they would let me! Thanks again to both of them for letting me make some memories for them. Here are some of my favorites from our time together. Enjoy! Jamie Vinson is a wedding and lifestyle family photographer located in Raleigh, North Carolina, and serving surrounding areas such as Durham, Cary, Chapel Hill, Wake Forest, Apex, as well as booking limited sessions in Charlotte. Jamie is currently booking 2016 sessions, contact her here or at jamie@jamievinsonphotography.com to book a session.